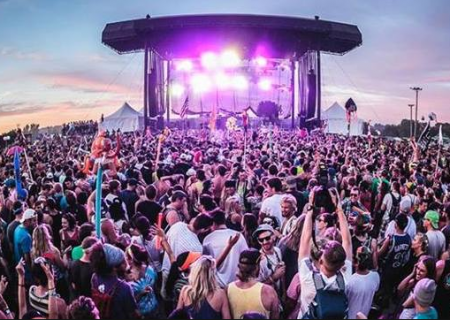 On the Phone with Jack Trash from Summer Set Music Festival- What's New? What changes have you made with the stages this year? A ton. We’re super excited for what we have in terms of stage presence this year. Last year, we were bigger than we had set up, and everybody knew that. We loved the Grove Stage, we loved the tent, but the tent was just too hot. This year, the overall lineup is bigger. There are headliners for the entire festival at this stage, as well as the main stage. We got rid of the tent and landscaped out an entirely new area, so this way the stage can hold 3,000 more in capacity. We landscaped it to be another bowl, people liked that last year with the hill to sit on next to the stage itself so we added way more hill space. 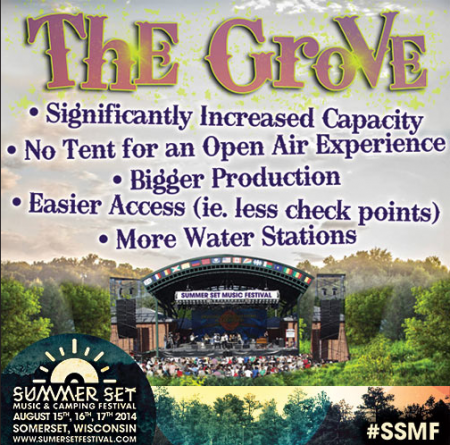 We also still have a smaller tented stage that will be all EDM all the time, as the grove stage was last year. We loved the energy of the tent, and the idea of the light shows and stuff, so we put it where there’s really awesome green grass, it’s super nice and we’re really excited for it. Last year, there were huge lines and a ton of checkpoints. This year, we’ve gotten rid of all that. We heard everyone’s complains and we were ready to make everyone’s experience better. There will be checkpoints only for the after parties. Are there any differences in the campground this year? Yes, we are planning for more capacity, so we needed to figure out different options for the campground. So, what we did is make the North Campground car free. So it’ll just be camping, with no cars, which allows for more people. People can park their cars and bring their things to the campground to camp. The cars will be parked in a lot across the street, so it’ll be close by just in case people need to go back to it for any reason. Last year, we had vendors and other merchants camping in this little offshoot of the grounds away from the other camping, and what we had realized is that this untapped wooded area was absolutely amazing. I’m not sure how we missed it before but all the vendors were like “this is great” so what we decided to do was make that into the VIP campground. People are going to crap their pants when they see it. There are showers, a private bar, a VIP lounge, and exclusive shows at 12AM and PM each day until 3AM/PM. We wanted to add a little more for those who wanted to drop some extra cash for the experience. We also have more space for RV camping. We put that were the VIP was last year. There will be the usual necessities for RV camping like power, water, and showers as well. It’s kind of like VIP camping but without the extras of VIP. We try to build more and improve every year. There were obvious changes from year 1 to year 2 but you’ll notice substantial differences from year 2 to year 3. Last year, we conducted this 5,000 people survey, and we heard what people had to say. We listened to their gripes and we made the necessary changes. We’re not perfect, but we’re super committed to making this festival the best it can be. We’ve made a lot of improvements and put a lot into production this year. We’ve got more lights, lasers, CO2 cannons and a few other surprises. We’re really trying to utilize the crowd. Without paying customers we’re nothing. We can’t make everyone happy, but we’re working out the kinks. What is the biggest challenge in the making of such a large event? Hmm… That’s a really tough question actually. I don’t really have an answer to that. Our whole team is amazing, and adding up all that experience, we all learn and grow and bring something valuable to the table. All of our discussions are powerful and helpful, I’m so excited for this year. We’ve got a lot of things figured out and we’re ready to impress people. I’m not scared or anything, I’m ready to get it going. I guess I’d say the biggest challenge is sleep. But I’ve put so much faith in the team and I’m ready for this year. To be completely honest? I’m really excited that we got Chromeo to come. I feel like the group embodies so many different types of music. But, it’s hard to find time to see what you want when you’re organizing such a huge event. Obviously Bassnectar is going to kill it, and I’m also curious about Wu Tang. As JT spoke, I could very clearly hear the excitement in his voice. By the end of the conversation, he was out of breath but much louder in volume. When we first contacted him, I offered to shoot him a few questions over email. He insisted on a phone conversation, so I could truly feel how he felt about the festival. It really helped, he got me pumped for Summer Set and excited to see what they’ve done to the festival grounds as a whole. This year’s lineup is bigger than ever, and it seems they’ve made the necessary adjustments. The festival will be held August 15-17th in Somerset, Wisconsin. You can snag tickets from their website. 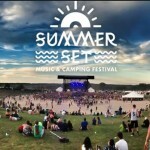 Summer Set Music Festival Prices Increase July 1st! GROW: Psychedelic Garden a success!